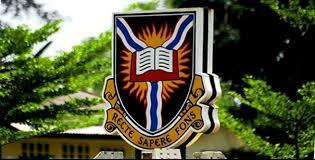 The Management of the University of Ibadan, UI has uploaded the Merit Admission list of candidates offered admission into the institution for the 2017/2018 academic session. Visit the UI admission portal via http://admissions.ui.edu.ng. Sign in with your Username and Password to access your admission status. Admitted candidates are advised to proceed with the payment of acceptance fee. Pay the sum of Thirty-Five Thousand Naira only (N35, 000:00) ACCEPTANCE FEE using the approved payment mode on http://admissions.ui.edu.ng.